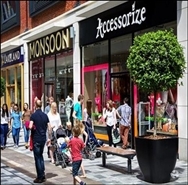 The available space comprises ground floor retail unit with first floor ancillary space. Available on a new lease for terms to be agreed. The available space comprises ground floor retail accommodation. A new lease is available on FRI terms for a period to be negotiated. The current passing rent is £35,000 per annum.